One of the most important pieces of your home’s roof structure is the fascia board. Fascia boards are both a cosmetic finishing piece but also are very functional, acting as an intermediary between the roof’s edge and the elements outside. An old fascia board or one that has not been properly installed can cause serious water damage to your home. Sometimes you can see the damage on fascia boards from the ground, but many times these issues can go undetected. An expert can help you prevent future problems and pinpoint areas that are problematic for your home already. Fascia repair will help keep your roof and your home in excellent condition, helping you to avoid major issues that stem from dangerous water damage. While many people are eager to do this job themselves, the truth is that replacing fascia board isn’t as easy as it sounds. 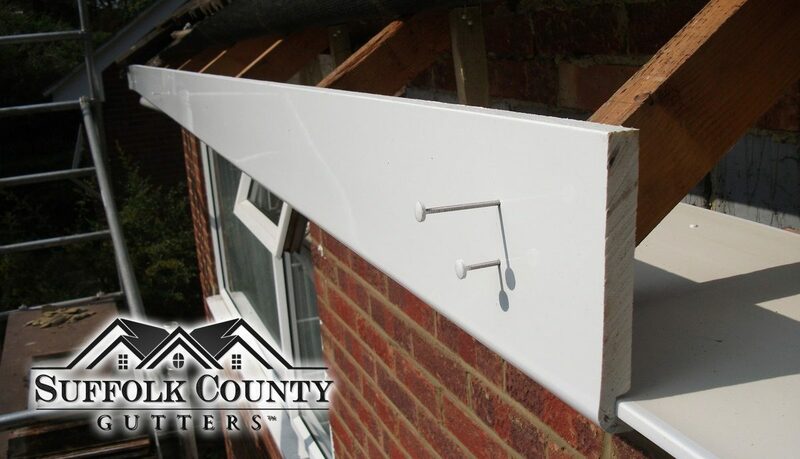 To make sure that your fascia and soffit boards are in working order, give the experts at Suffolk County Gutters a call. The Suffolk County Gutter brothers will inspect your current boards and advise, recommending repairs and replacements as necessary. Don’t ignore this important piece of your home’s maintenance! Get your estimate for expert fascia repair today! Long Island Gutter Contractor serving both Suffolk and Nassau County, New York. We perform residential and commercial gutter installations, repair and cleaning. A Phone call is so much easier, don't you think?